Born and raised in Akron, State Rep. Emilia Strong Sykes was elected to represent her hometown (OH-34) in November 2014. Two years later, Sykes was elected by her colleagues to serve in leadership as the assistant minority whip. With a strong sense of responsibility for the well-being of those that she serves, Sykes has tackled the challenges of her district with unmatched passion and dedication. As a representative, Sykes has pushed an aggressive job creation plan, fighting to keep local jobs for local workers and expand opportunities for middle and working class families in Akron. Rep. Sykes understands the importance of a quality education and job training for people to get ahead. She has supported young leadership and mentorship programs to inspire young people to reach their goals. 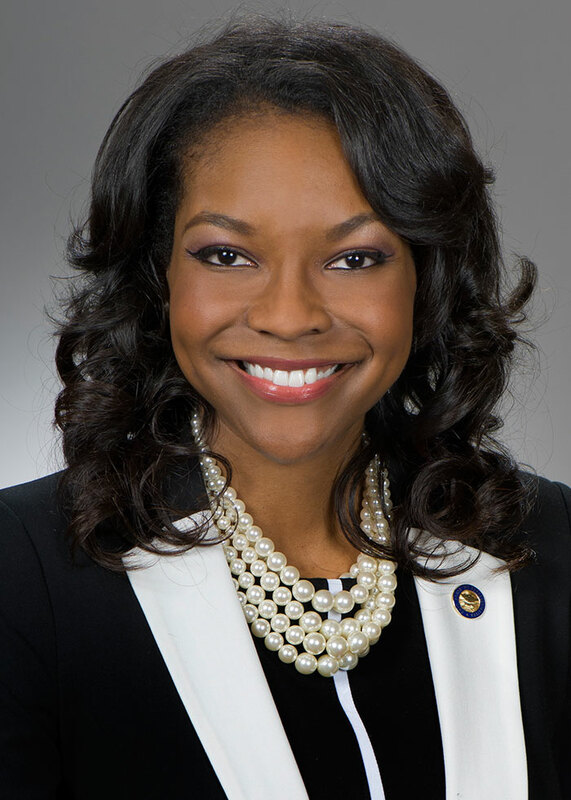 Rep. Sykes has also worked with healthcare professionals and colleagues to improve public health, increase access to care, and combat Ohio’s high infant mortality rate. Her passion for social justice extends to issues such as voter rights, criminal justice reform, a more efficient social safety net for struggling Ohioans, and an end to domestic violence. As a student Sykes began her studies on women’s access to healthcare and investigated major issues at crisis pregnancy centers here in Ohio. In law school, she volunteered with the Intimate Partner Violence Assistance Clinic to educate women and girls about domestic violence and how to form positive relationships. From these experiences, Rep. Sykes continues to place issues affecting girls and woman at the forefront of her policy agenda.